It won’t come as new information to many, but another study has confirmed people dropping or reducing the use of conventional pharmaceuticals in preference for medical marijuana. The study involved surveys of 450 adults who identified as current cannabis users at an annual public event advocating marijuana law reform and in a jurisdiction where medical cannabis was legal – so the results are hardly surprising. 58% of the surveys were completed by men, 40% by women, and 2% where gender was missing or specified as “Other”. Ages ranged from 18 to 71 years, with a mean of 29 years. From the 392 usable responses, 78% reported using marijuana to help treat a medical or health condition. 30 percent stated their “mainstream” health care provider was not aware of their medical cannabis use. 42% stopped taking a pharmaceutical drug (primarily narcotics/opioids or non-opioid analgesics) and 38% used less of one after using medical cannabis. A common reason for the switch was the perception of fewer side effects. The most common ailments to be treated or managed among the respondents were pain, back problems, anxiety or panic attacks, and depression or bipolar disorder. 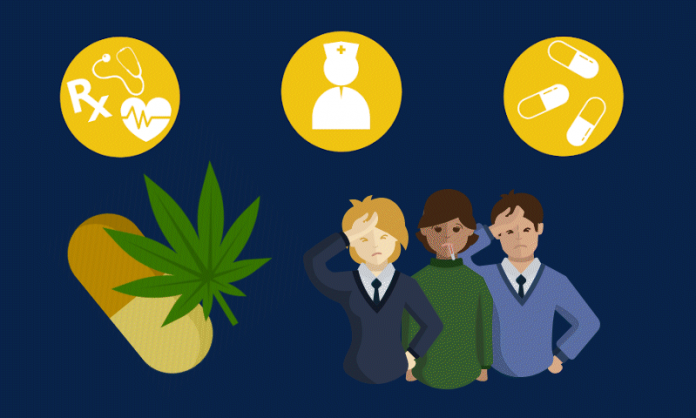 “Given the growing use of cannabis for medical purposes and the widespread use for recreation purposes despite criminalization, the current public health framework focusing primarily on cannabis abstinence appears obsolete,” said the study’s lead author, Daniel Kruger, who is associated with the University of Michigan Institute for Social Research. Another potential reason for the shift to cannabis was related to a quarter of participants reporting barriers to healthcare (e.g. health insurance being unaffordable). The authors say some in this group may have substituted cannabis for pharmaceutical drugs for financial reasons. Other studies we’ve reported on indicating medical cannabis is being used as a replacement for other pharmaceuticals, or to reduce the use of other medications, can be found here, here, here and here. Next articleUS FDA Urged To Begin Updating Hemp Regulations – Like, Now.